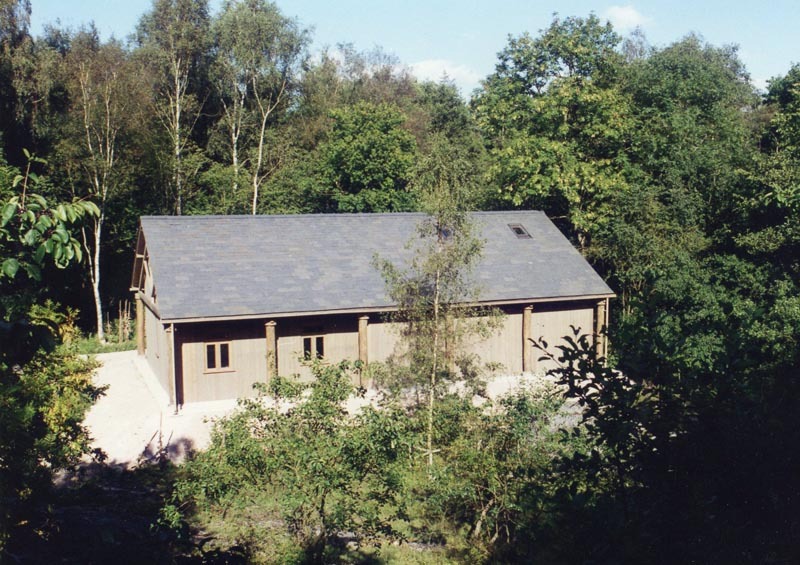 This building houses offices, a small kitchen and toilet and equipment stores for use by the Natural England Site Managers in maintaining the Roudsea Wood National Nature Reserve. 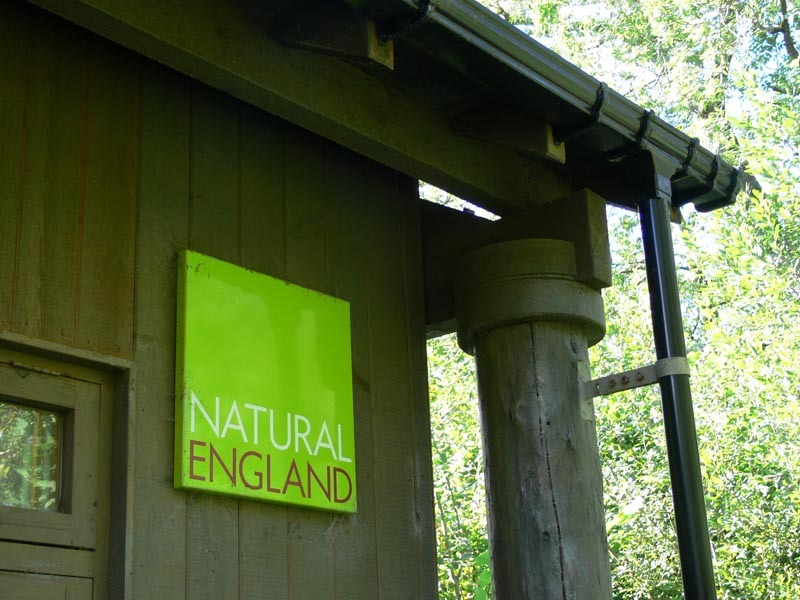 It is located in a very sensitive area – as well as a Nature Reserve it is a Site of Special Scientific Interest and within the Lake District National Park. It is also in a flood plain which imposed some technical constraints on the design. 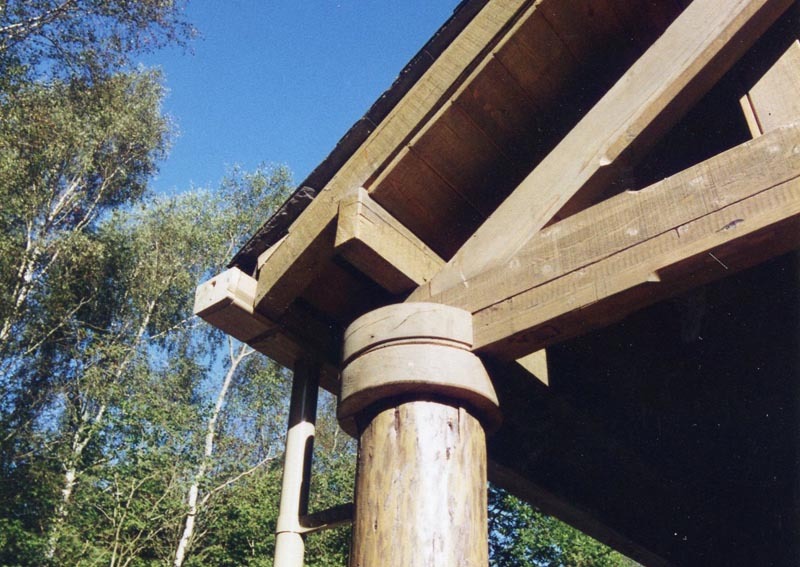 The building is supported on a raised concrete platform and the structure consists of a timber frame formed from de-barked tree trunks for the columns supporting exposed king post trusses which span the full width of the building to give clear internal space. 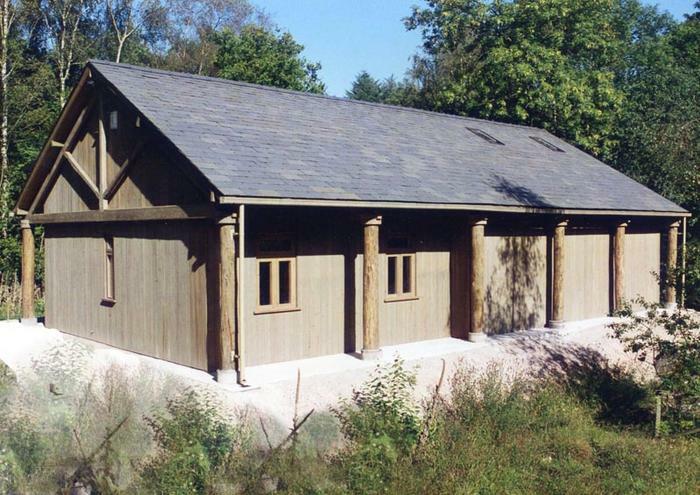 These support a traditional timber purlin and rafter roof construction covered with natural slate. 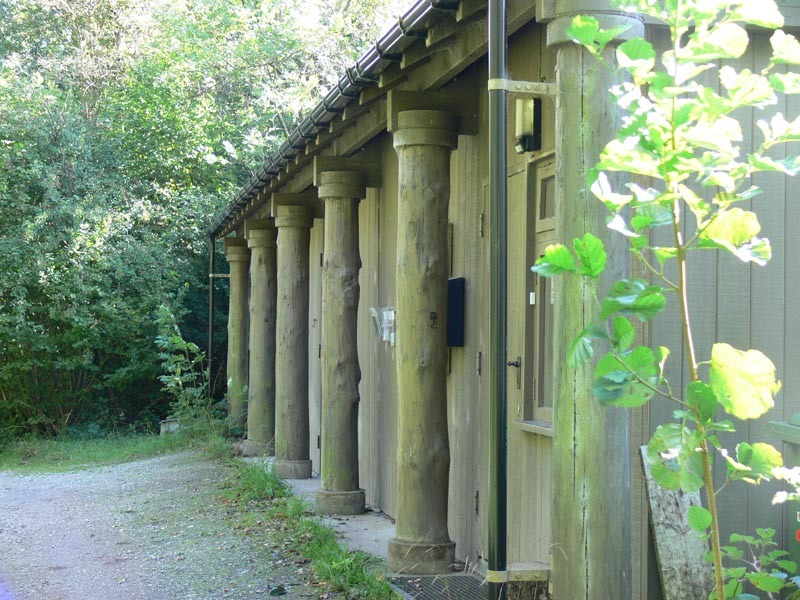 The walls are clad with sawn timber boarding to respect the building’s woodland location.